Once upon a time, a little doggy poo lived on the side of a road. He felt all alone in this world. He believed that nobody needed him for anything, and that he had no purpose in life. If only Doggy Poo had a reason for being, then he wouldn't give up on his dream to be useful to this world. One day, Doggy Poo meets a lovely dandelion sprout. Will she explain his purpose in life? Will she help him make his dream come true? 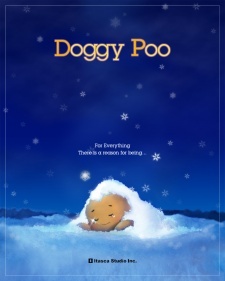 Watch Doggy Poo Episodes Online at Animegg.org. Doggy Poo is available in High Definition only through Animegg.org. Choose an episode below and start watching Doggy Poo in Subbed & Dubbed HD now.